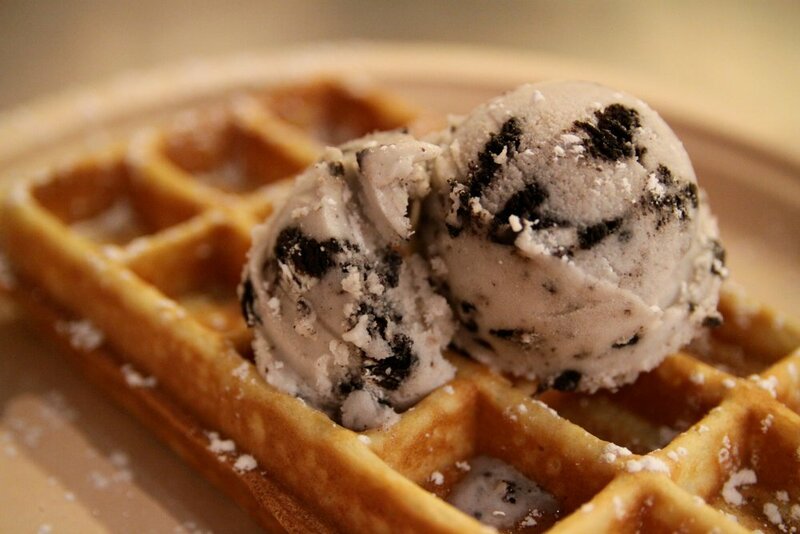 Since 2010, Waffle Frolic has brought a unique, delicious, and ethically sourced dining option to the Ithaca Commons. Founded by two Ithaca College students, Frolic captures the spirit of Ithaca combined with a bold, urban edge found in larger cities. We offer a wide variety of sweet and savory waffle combinations, a full espresso bar, grilled cheese sandwiches, smoothies, Purity Ice Cream and more. Dine-in, take-out and delivery through Ithaca To Go are available to satisfy your waffle itch no matter the circumstance. Check out our menu page for more details on our offerings. Our menu also includes a plethora of vegan and gluten free options. Whether you’re a student, local, or vacationer we’ve got something for you and can’t wait to serve you!